A day and residential further education college, supporting young people with autistic spectrum conditions including Asperger’s syndrome, social and emotional difficulties, anxiety disorders and mental health needs. Our focus is on developing skills to lead to independent living, employment, further and higher education. I am pleased to introduce Aurora Boveridge College and share our unique way of working, which enables young people to achieve their goals, be successful and live fulfilling lives of their choosing. At Aurora, we empower uniqueness and do things differently so that every young person can develop in their own unique and inspiring way. Our multidisciplinary approach truly places students at the centre of everything we do. Our highly skilled and specialist teaching, support and therapeutic teams work with each young person to ensure their needs are fully met and that every achievement takes them closer to reaching their individual goals. We ensure that our students are fully prepared for adult life, through person-centred academic and vocational study programmes leading to independent living with employment or further study. By working together, we increase resilience, confidence, self-esteem, emotional intelligence and well-being: the corner stones on which strong and successful long-term futures are built. Young people come to us from across the UK and further afield to take advantage of our specialist approaches and meaningful study programmes. We welcome visitors throughout the year and look forward to hearing from you. Special Education Needs: person-centred study programmes for students with a range of complex challenges resulting in communication difficulties and barriers to learning in mainstream and some other specialist settings. They may have a diagnosis of autism, acquired brain injury, anxiety disorders, social emotional or mental health conditions. High levels of support: all students are provided with enhanced support throughout the college day and provision can be made for those requiring higher levels of support, either full time or periodically, to enable access to the study programmes and participation in college activities. Flexible placements: day, 38-week and up to 52-week residential placements and bespoke outreach service. Therapeutic support: clinical and therapeutic input is integral to our approach and is integrated throughout the college day to enable students to fully access the study programmes. 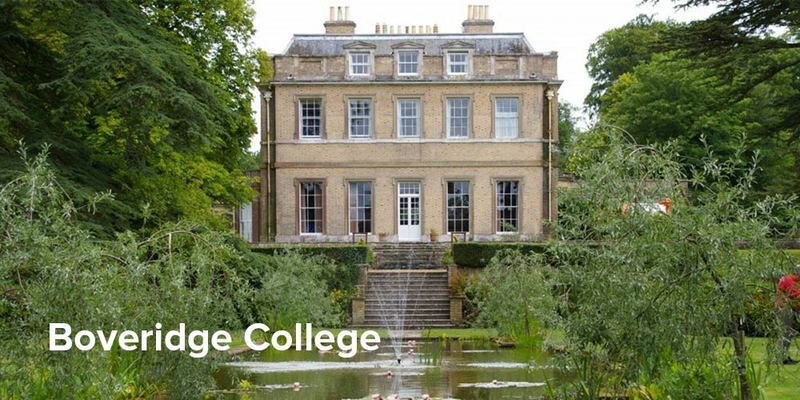 The college sits within extensive grounds attached to a Grade 2 listed building and opened in September 2017 after a substantial renovation and redevelopment programme. It features modern, well-equipped classrooms and vocational areas including a digital studio, science lab and catering facilities to support the delivery of a wide-ranging curriculum. Light and spacious flexible communal rooms surround the refectory area, where a variety of well-balanced meals are available at lunchtimes and in the evenings. The outdoor area provides exceptional space for activities and learning opportunities. As well as woodland walks, the original Gertrude Jekyll designed gardens are particularly impressive and offer opportunities to explore gardening and landscape design for students interested in that area. Students have also developed a large vegetable garden which supplies the college kitchen. Within a short drive the local surrounding communities provide additional opportunities with a cinema, theatre and leisure centre with a swimming pool. Bournemouth and Poole are only 40 minutes away by car, with many leisure facilities on offer from the beach to shopping centres, restaurants and the beautiful historic Jurassic Coast. The market towns of Wimborne and Ringwood are approximately 14 miles away. The college benefits from transport links around Bournemouth and Poole, including mainline train links to London in under 2 hours. We offer future-focused post 16 study programmes designed to enhance opportunities for employment and or further study. As the only independent specialist college to offer land based courses in the UK, we are uniquely placed to offer a range of vocational qualifications for students who enjoy subjects such as horticulture, grounds maintenance, equine studies or animal care. Our grade II listed gardens provide the perfect resource for students who wish to pursue employment in these sectors; they are also a wonderfully therapeutic environment. We also offer more traditional vocational courses such as IT and basic mechanics, these are taught by industry specialists to industry wide standards. Alongside the vocational elements, we offer standard academic courses from Entry level 2/3 to Level 3, which includes A-levels in selected subjects. Each study programme encompasses work-related learning, employability and independent living skills development. For students who do not have the equivalent of a C grade in English and Maths, these subjects form part of their programmes. Even before a young person starts at Aurora Boveridge College, we begin planning their transition for when they move on. By supporting our students to think and make decisions about their own future realistic goals, we can work to ensure they are best placed to achieve them, whether that is by working towards specific required qualifications or vocational experience or focusing on developing key life skills. Their transition focuses around supporting them to reconnect with their home locality or the locality they wish to live in. We support them to find accommodation, employment and/or further study opportunities and build sustainable and independent lives for themselves. Once they leave college, we check in regularly to ensure they are coping well and support with problem-solving if required. For vulnerable students who are initially unable to access the college site, due to high anxieties for example, we provide a bespoke outreach service to support pro-active re-engagement in learning and the world around them. The aim is to remove barriers to learning and support re-engagement in formal education, therefore improving life opportunities. Our multidisciplinary team delivers specialist on-site therapy including Occupational, Speech and Language, Psychology, Psychiatry, and Holistic Therapy. Therapists work both directly with our students and indirectly through familiar and favoured staff to meet individual needs. Group and 1:1 sessions are offered where appropriate. Many of our students will be reluctant to accept therapeutic support initially and so our therapists develop trust by being seen around the college and joining in with activities. One important aspect of the overall team approach is to teach self-coping strategies that enable learners to manage their own anxieties and behaviour as young adults. Our residential accommodation is both homely and welcoming because we recognise that being away from home, especially for the first time, can be stressful for both our students and their families. Each accommodation area comprises of 7 or 8 individual bedrooms, some of which are en-suite, with communal areas for socialising. Shared laundry and cooking facilities are available. Residents are welcome to personalise their individual rooms with items from home to help them settle in. Our support staff encourage young people to keep in contact with their families at home, as their personal tutors do through regular home links. Learning to adopt a healthy lifestyle is key to gaining greater independence and incorporates good nutrition physical activity, good personal hygiene and sleep routines. All of which are vital to holding down regular employment. Students help to plan their weekly menus, taking into account dietary requirements based on preference, religion and health needs. Weekly resident meetings are held in each accommodation base, to plan group and individual leisure activities; both on and off-campus. The college offers a step-down approach to developing independent living skills, with residents initially housed in the main house, progressing to the small cottages around campus, then to accommodation within the village and finally to houses in a small town approx. 5 miles away. At each progression step, a carefully planned decrease in staff support encourages students to demonstrate and develop their ability to live more independently.